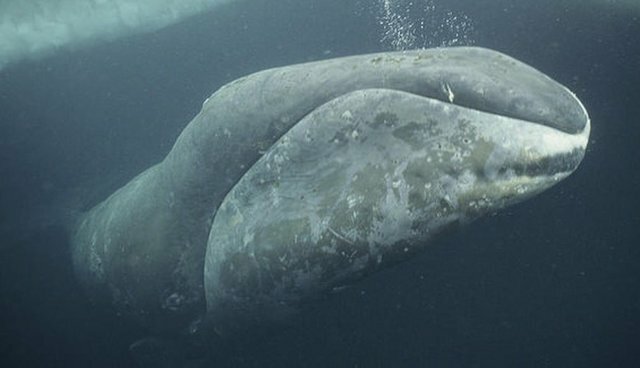 One audacious bowhead whale is striking out on his own, exploring seas where no member of the elusive species has ever been seen. 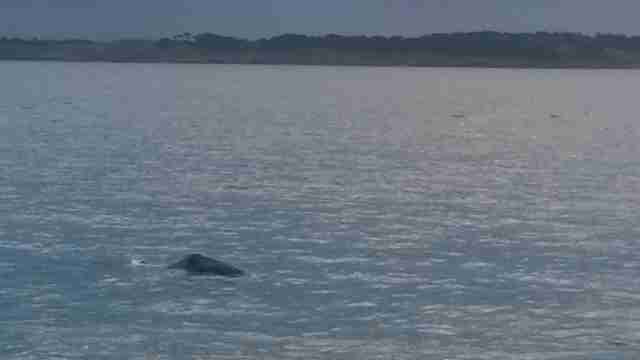 The intrepid bowhead was spotted gliding along the waters off the British Isles. 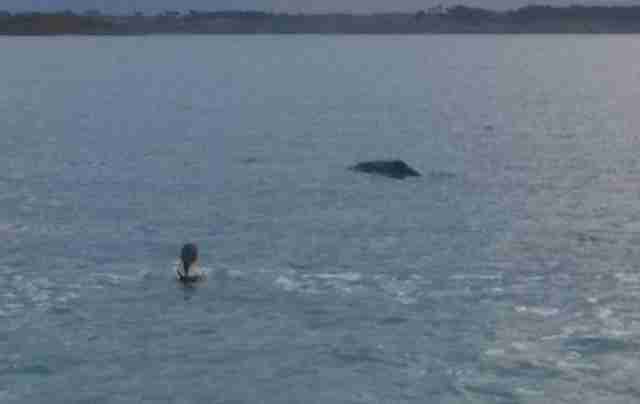 It was the first time one of the 60-foot giants has been seen in the U.K. - or so far south, for that matter. Diver Anna Cawthray saw the behemoth first and snapped a few photos, which she passed along to the Sea Watch Foundation, where experts could examine them to try to identify the species. "The images were indeed a challenge," Sea Watch Foundation director Dr. Peter Evans said in a blog post. He added that it was hard to pick out the whale's features in the grainy photos, even after enlarging and sharpening them. But thankfully, the whale's massive jaw, part of the largest mouth of any animal on the planet, could be glimpsed in one of the photos. After consultation with other experts, it was settled: the animal was a rarely-seen bowhead whale. Native to the cold Arctic waters, the bowhead whale was nearly wiped out during the heydey of industrial whaling, with some 3,000 individuals left in the 1920s. But after the global moratorium on whaling was enacted in 1986, their numbers have been steadily climbing, and there are an estimated 25,000 now worldwide.